Double bassist and composer Rémy Yulzari is reinventing the role of the double bass in solo and collaborative settings in a wide range of musical styles from a very broad geographical and historical spectrum. Strongly committed to inventing a personal style that features improvisation and creativity, he also frequently performs on the accordion, melodica and piano. Mr. Yulzari has performed in some of the most important concert halls worldwide including venues in France, Great Britain, United States, Israel, Spain, Russia, Italy, Japan, Taiwan, Lithuania and Serbia, notably Taiwan National Concert Hall, Tokyo Bunka Kaikan or Ekaterinburg Philharmonic Hall. Music festivals credits include the Festival d’Auvers-sur-Oise, Festival de Prades Pablo Casals, Rencontres Internationales Musicales des Graves or the Festival du Périgord Noir to name a few. Mr. Yulzari has written several articles for the French literary magazine “SEZIM,” and as an actor, has appeared in various theatre productions in France, including “les Étourdis du Bateau” in 2008-2010, based on the French writer Marivaux. He also appears on-screen as a double bassist in “L’autre Dumas” (“The Other Dumas”), a 2010 French period film directed by Safy Nebbou about Alexandre Dumas, starring Gérard Depardieu. 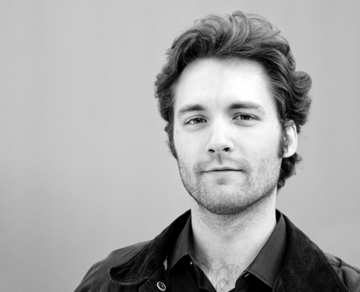 In competitions, Rémy Yulzari’s talent has been recognized as well in 2007 at the Forum de Normandie (Grand Prix), the Illzach International Competition (Third Prize) and in 2008 at the Verona International Music Tournament (First Prize). Born in Dôle, France, Rémy began studying music on his own at age 11. He studied accordion, violin, piano, composition and musical analysis at École Nationale de Musique (ENM) in Oyonnax, France while in high school. At age 18, he continued violin studies at ENM in Villeurbanne, and simultaneously began studies on the double bass at the Lyon Conservatoire National de Région. He was then awarded a “Premier Prix” in double bass (equivalent to a U.S. Master’s degree) from the Conservatoire National Supérieur de Musique de Paris. On double bass, he has worked with Eugene Levinson, Bernard Cazauran, Thomas Martin, Bozo Paradzik and Tony Araque. He has also studied orchestration with Guillaume Connesson, composition with Alain Weber and conducting with Nicolas Brochot. Mr. Yulzari is the first double bassist to ever be invited into The Juilliard School’s prestigious Artist Diploma program. Rémy also earned a Master of Education (Certificat d’Aptitude) from the Conservatoire National Supérieur de Musique de Lyon. He has been invited to teach masterclasses for double bass, chamber music and klezmer music in Japan and throughout France including Koshin RKC Hall, Oyonnax’s ENM or Rencontres Musicales Internationales des Graves. Mr. Yulzari plays a custom designed double bass made by French luthier Patrick Charton. In his spare time, he enjoys skiing in the Jura mountains in the Franche-Comté région of France where he learned to ski at the age of two.